The earlight device works like placebo at best - and the company knows that. A treatment's efficacy has to be established with randomized controlled trials whenever possible.40 In such trials, a group of patients gets the treatment in question, while another gets a "control" treatment, either an established one or a sham intervention. If participants are assigned randomly to the groups, then theoretically their characteristics will be equally distributed and should have no impact on the study outcome. Placebo-controlled trials compare an intervention to a sham treatment. The outcome in the placebo group includes all unspecific treatment effects. The outcome in the real intervention group has to be better than that of the placebo, if the active treatment "works". Valkee has told through the years, that a placebo-controlled trial is, or will be conducted to prove the earlight's efficacy. A result has never been reported so far, keeping the illusion that there may be a proof somewhen. In fact, Valkee has conducted such a trial, but the results were devastating. To avoid an early end of their business, the company decided to forge the facts. Earlight was applied daily for 12 minutes, over 4 weeks. 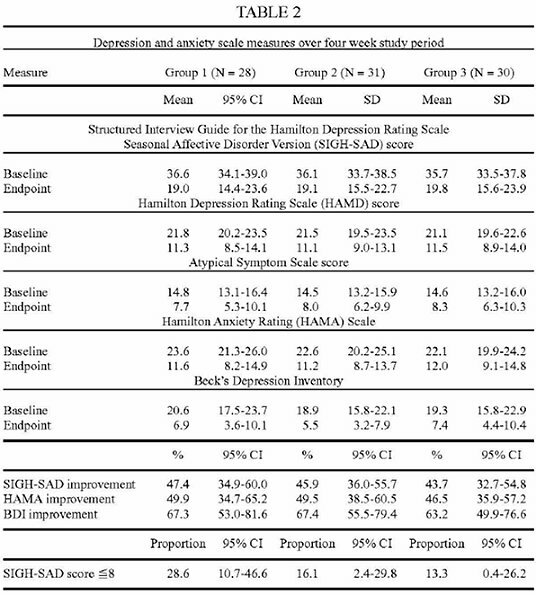 SIGH-SAD/HAMD, HAMA, and BDI scores were collected at study start and end (BDI every week). 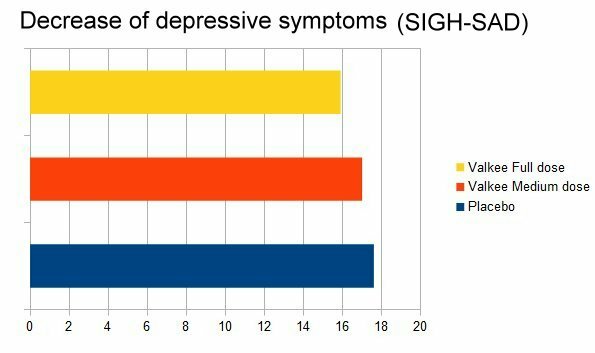 The primary outcome, the change in the SIGH-SAD score, was the best in the placebo group, and the lowest improvement was seen in the 9 lumen group. However, this was a small, low-power trial. Therefore, the differences did not reach statistical significance. That's why the general result is: Valkee's earlight did not separate from placebo. In a bigger study with the power to detect smaller effects, placebo would have won against Valkee. The secondary outcomes all showed the same picture: Placebo was numerically better than the earlight. The remission rates - the percentage of persons "cured" - were 28,6% with placebo, and in the high-dose group only 13,3%. One out of 7-8 persons was cured. Placebo was roughly twice as good. The success was remarkably lower than Valkee's marketing claims. This more naturalistic study, where the treatment was applied at home and not in the clinic, sharply contrasts with Valkee's "9 of 10" cure rate. The commercial device has about 3,5 lumen intensity, close to the medium dose group. It cured 16,1% of the patients, and so one out of six is the best guess at the moment for the efficacy of Valkee's device when used outside of lab conditions. The overall significance of the fact, that earlight scored lower than placebo, demands no further explanation. Valkee told later, that the first "real placebo control" was in place in a 2013 anxiety trial. At first glance, this may seem reasonable, because in this trial the device was applied at home and all participants got a kind of earlight. However, the double-blind masking of the sham device worked perfectly here, as any person who'd correctly identified the placebo, would not give it highest scores. To not accept this one as a fully accomplished placebo-control, means to believe, that 0.7 lumen could have an impressive effect in the ear. 9 clinicaltrials.gov: registry entry for NCT01293409.